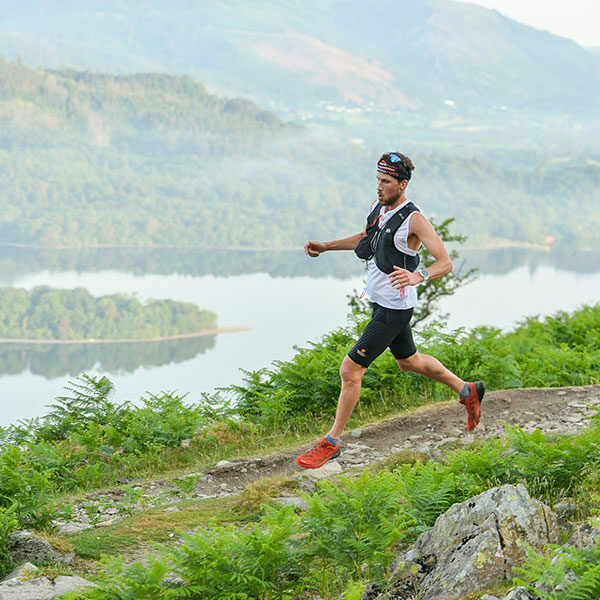 The 50km route starts from inside Crow Park, heading down the east side of Derwent Water and coming back on itself on the trail next to the ‘Borrowdale Road’. Crossing the road the course runs through Castle Head Woods to head up the fell to the NE corner of Great Wood. Mountain trails then take you above Walla & Falcon Crags and into the hidden valley of Watendlath, which has some amazing single track to float along. At the head of the valley you ‘grind it’ out over Grange Fell and descend the fast and technical track to the Rosthwaite Institute & your 1st Feed Station (CP 1) of the day. Watered and fed you will then head West up the track running parallel with the Honister Pass road to your 2nd Feed Station (CP 2) at the Honister Slate Mines. Now you follow the old miners track up and over the fell, passing Dubs Quarry round the back of Fleetwith Pike and into the stunning Buttermere Valley by an extremely technical track which descends steeply. The route now takes you around the southern shore of Buttermere and then Crummock Water to the 3rd Feed Station (CP 3) of the day at the foot of the lake on the western most tip. Next follow wonderful single tracks through European feeling woodlands on the lake-shore to run back up the north side to the next hidden gem of a valley, Rannerdale which is famed for its Blue Bells. From here it’s up and over the pass at the head of the valley and then round the extremely remote single track hugging Whiteless Pike, Addocombe Beck and then through Salibeck pass. Dropping quickly down the technical and rocky track you end up in the Newlands Valley and the 4th Feed Station (CP 4) before you head towards Little Town on the country roads, before heading back onto the miners tracks and down the Newlands Valley arriving at the 5th Feed Station of the day at Hawes End (not a timed CP). 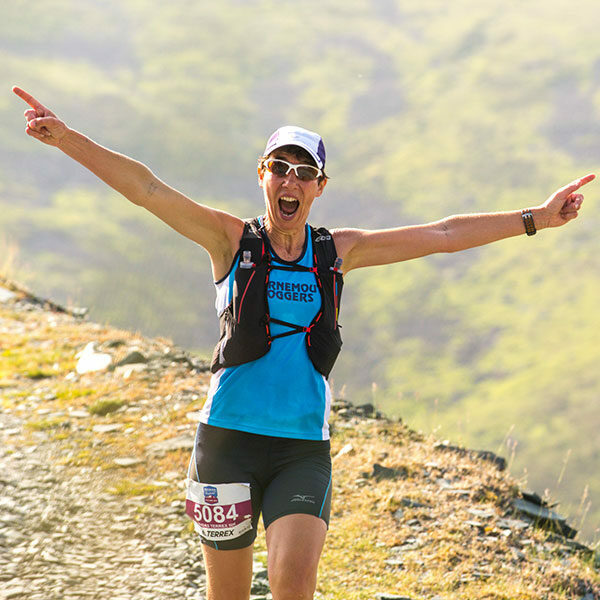 From here you’re on the final leg and you run along tranquil woodland trails until Portinscale village is reached, crossing the suspension bridge to head back into Keswick via the ‘Bob Graham Round’ finish. 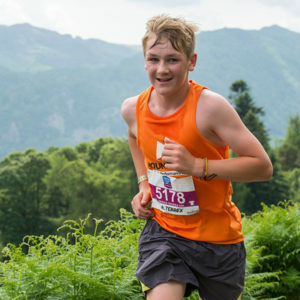 Once on the streets of Keswick you will be directed by marshals to the final sections of the race and the home straight passing through the boat yard and to your glory finish back in Crow Park at the Festival site. 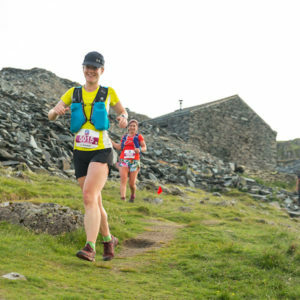 The route is a perfect training run/race for the Scafell Sky Race or the UTLD Lakeland 50 both held in July. All sporting events would be impacted if the KMF Festival Village has to be closed. In this instance, as long as circumstances allow, all starts and finishes would be relocated to Lake Road and Lakeside Car Park and the events operated as smoothly as possible. The 50km route would be re-routed through Hope Park (north of Crow Park) to finish on Lake Road. The 50km course is pretty robust and will stand up to most weather. By using a dynamic process of route design we would create a course geared to the weather and ground conditions presented to us on the preceding day and actual day of the race. A bad weather route will be published closer to the Festival to be used in the event that the course needs to be adjusted. Start and finish at Crow Park where your friends and family can spend the day and watch you cross the finish line creating a supportive atmosphere. Emergency food (minimum of a bar/gel, must be still in your possession at the finish, if you have needed to eat it then you will be disqualified). We will be kit checking on the day & if you are found to not have the minimum kit requirements, we reserve the right to pull you from the race. Please understand this is from a safety point of view only. Should we have serious weather conditions on the day we will be opting for a bad weather course, this will be advised upon on the day of the event. We do not take this decision lightly! There are 5 checkpoints (CP’s) around the course, for timing/safety purposes, which all competitors must visit & dib in at with their ‘timing card’, failure to do this will mean disqualification from the race & putting the whole event at risk. Please don’t forget, this is for your safety. At these CP’s there will be feed stations where you can fuel up with water, juice & some food. 2 marshals will be present at each CP. This gives you ample time to get to each of these CP’s. In order to make the cut offs you need to move at an average of 5.5km per hour over the varied terrain of the race. This is a fast walk! If you are outside the generous cut off we are afraid you will be pulled from the race, so please make sure you are ready for this distance and ascent. If you are timed out, we can’t lay on the provision of transport to take you back to the race HQ, you must make your own way back to the events centre & hand in your ‘Timing Card’, failure to do this could result in the MRT’s being called out to search for you, so please make sure you do this. There is a bus service running at regular intervals from both the Honister Slate Mines and Crummock Water, should you not make the cut offs.